For Making a Rhubarb Dessert! 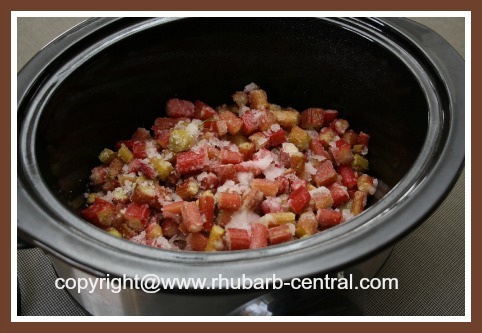 Have you every used the Crockpot for making a Rhubarb Dessert? If not, why not start? 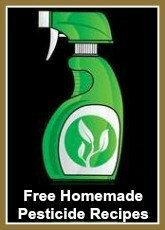 If you are like me, I don't use this appliance nearly as often as I really should! 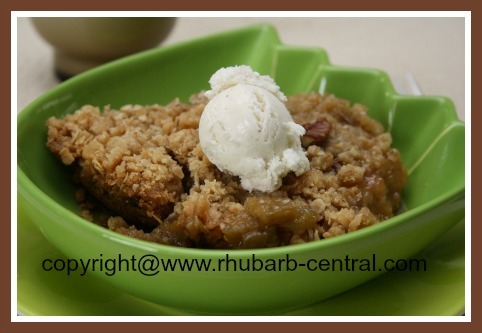 I made this delicious recipe for Crockpot Rhubarb Crumble for a quick dessert with rhubarb using the Slow Cooker and rhubarb! You can use fresh OR freezer rhubarb for this recipe. 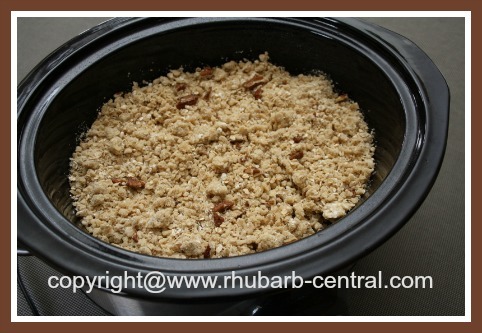 Rhubarb Crumble Made in the Crockpot /Slow Cooker! I made this quick and easy Crockpot rhubarb dessert today using rhubarb from the freezer and ... wow, it turned out so ♥ yummy and dessert was ready when I was! 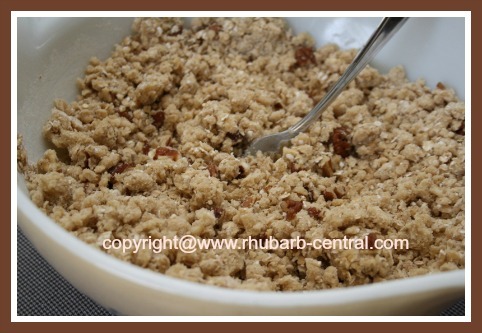 If you prefer a crumble recipe with less topping, simply reduce the ingredients for the crumble topping by 1/3 or 1/2, and this crumble recipe will still taste amazing! 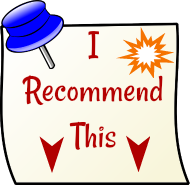 Note - If using frozen rhubarb for this recipe add the cornstarch to the sugar/rhubarb/cinnamon tossing mixture to prevent the crumble from being too wet. Lightly grease the bottom and part-way up the sides of the Crockpot or the Slow Cooker. In a large bowl, combine the chopped rhubarb, granulated sugar, cinnamon and the cornstarch (if using frozen rhubarb). Toss and transfer mixture to the Crockpot. In a large bowl, combine the butter and the brown sugar, and mix with a fork until well combined. Add the oats, and continue to mix. Add the pecans, and continue to mix. Sprinkle the mixture over the top of the chopped rhubarb mixture in the Crockpot. Cook, covered on "LOW" for 3 hours, or until done. Serve warm or cooled with a dollop of whipped cream, whipped dessert topping, or vanilla ice cream. YUMMY! 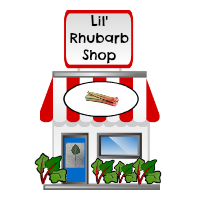 A Simply Delicious Crockpot Rhubarb Dessert Recipe! ﻿If you have whole pecans (or other nuts) on hand, it's easy to chop them without the use of a blender. 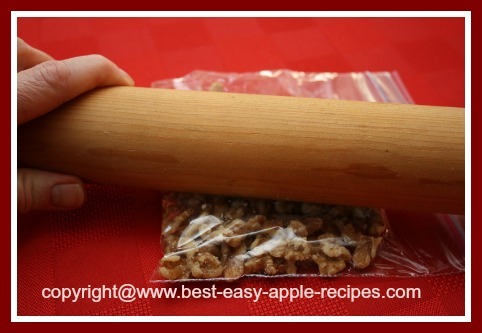 Simply place the whole nuts between a piece of waxed paper, or a plastic bag, and roll over the nuts with a pastry rolling pin!